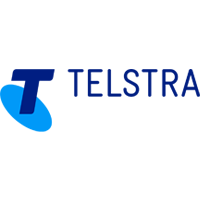 Telstra is a leading telecommunications and technology company with a proudly Australian heritage and a longstanding, growing international business. Telstra Enterprise is a division of Telstra that provides data and IP networks and network application services, such as managed networks, unified communications, cloud, industry solutions and integrated services. These services are underpinned by our subsea cable network, one of the largest in the Asia Pacific region, with licenses in Asia, Europe and the Americas, and access to more than 2,000 Points-of-Presence around the world. Telstra has been operating in the Americas for the past 25 years, connecting US businesses to major Asia Pacific economies such as China with an unparalleled network reach and reliability, underpinned by market-leading customer service, expertise and focus. Marcus is the Head of Global Account Management at Telstra, where he oversees Telstra’s 15 largest customers including their global demand and requirements. In this capacity, he has oversight of all business activities and teams supporting these Global Accounts, and is accountable for their outcomes and profitability. 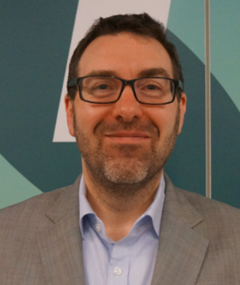 Marcus joined Telstra in 2013 where he was responsible for new business development in the enterprise and services division across Continental Europe, Middle East and Africa. In this role, Marcus grew the business from scratch to more than €25M annual revenue in five years. Since 2016, Marcus has also been the Managing Director of Telstra’s German entity. Marcus has more than 20 years of telco and IT experience in leading international sales teams and understanding the challenges faced by organisations in today’s fast-moving technology scene. Prior to joining Telstra, Marcus was Sales and Marketing Director for Sprint where he was in charge of sales management for Europe and led several global projects and initiatives. Marcus has an EMBA from Fribourg University (Switzerland) and has spent time abroad studying and working in the UK and China.